Bonanza Flats has been saved! It was a huge challenge, but so many individuals, organizations, companies, and governments worked together to make it a reality, and we want to thank each and every one of you for helping to make this dream – which sometimes seemed like a stretch – into a reality. Thank you for the contributions, which exceeded anything we’d dreamed of – over $200,000 from WBA donors alone! Thanks for the emails and phone calls that, in the end, helped make the difference. Thanks for spreading the word across the community, and thanks for being a part of the most successful community-driven conservation effort the Wasatch has ever seen! Bonanza Flats is a spectacular piece of open land at the top of Big Cottonwood Canyon, tucked between Guardsman Pass, Peak 10,420, and the Park City ridgeline. It’s home to the Wasatch Crest Trail, Bloods and Lacawaxen Lakes, dog-friendly hiking, backcountry skiing, and spectacular foliage and wildlife. The parcel is also vital to proposed resort interconnect schemes. Bonanza Flats has been privately owned for years, leaving the door open for development. 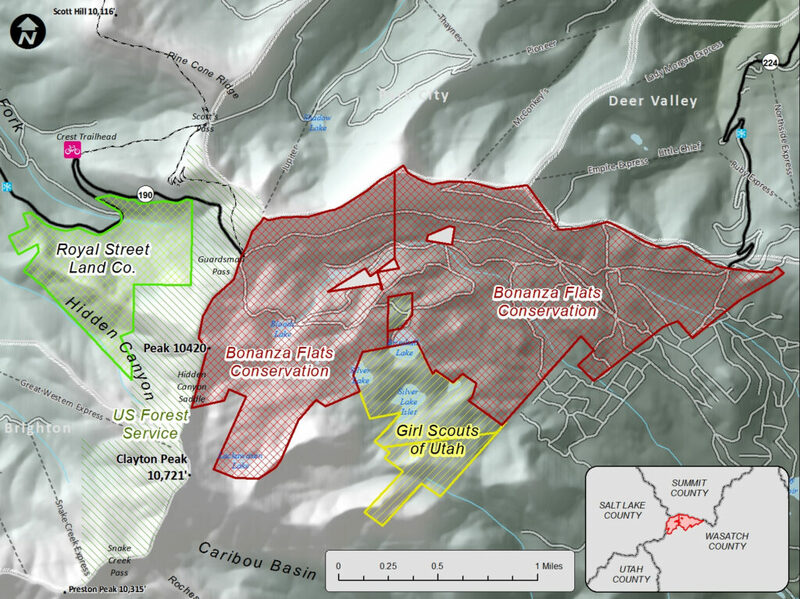 Recently, however, as part of a $38 million dollar deal, Park City voters approved a $25 million bond to purchase Bonanza Flats and preserve it as open space. Summit County, Salt Lake County, and other entities have agreed to contribute a further $10 million. It’s pretty simple – to make sure Bonanza Flats remains open space, we need private donors to come up with an additional three million dollars. When we do that, we’ll ensure that one of the last developable parcels in the Wasatch will stay undeveloped for good.